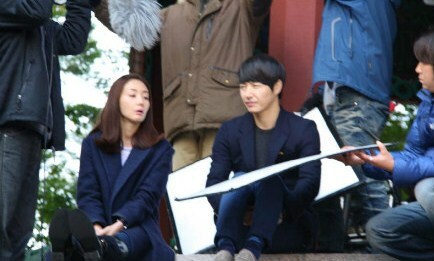 Hyung Woo stays beside to care for Eun Jae who just sent her father away in funeral. Seo Khun who knows the news about Eun Jae calls Hyung Woo, asking the thing about Eun Jae. Eun Jae says she wants to make a major decision, and gives the clothes that she bought for her father to Hyung Woo. The death of her father helped Eun Jae to decide that she will no longer do thing that she will regret in future. 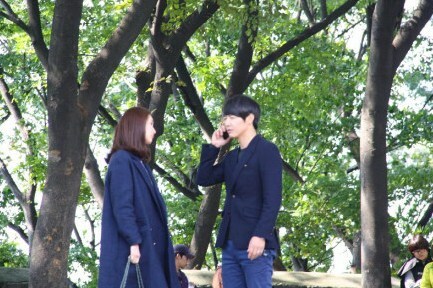 Eun Jae and Hyung Woo are in love again. Afraid that others know they have got together again, Hyung Woo and Eun Jae secretly date, but their date is always disturbed by the gang of three in Hope office. Eun Jae takes the initiative to propose that they reunite, but Hyung Woo rejects. In actual, Hyung Woo wants to use his own way to be in good term with Eun Jae again. Seo Khun says that he won’t meet with Eun Jae again, and hope that she can happy together with Hyung Woo. Hyung Woo originally has a date with Eun Jae to watch a musical together, but the date is hold up as he is drinking with Seo Khun. Hyung Woo who understands that method is not important, only content is important passes his own voice diary to Eun Jae.